At the Used Book Stall. Come with me downtown. We'll be looking in my favorite book stall. The one where the paperbacks smell like stale cigarette smoke and/or mildew. I prefer books where the author does not use "and/or" and "he/she." English may be from the gutter, but it will flow if written with style. Never mind all that. 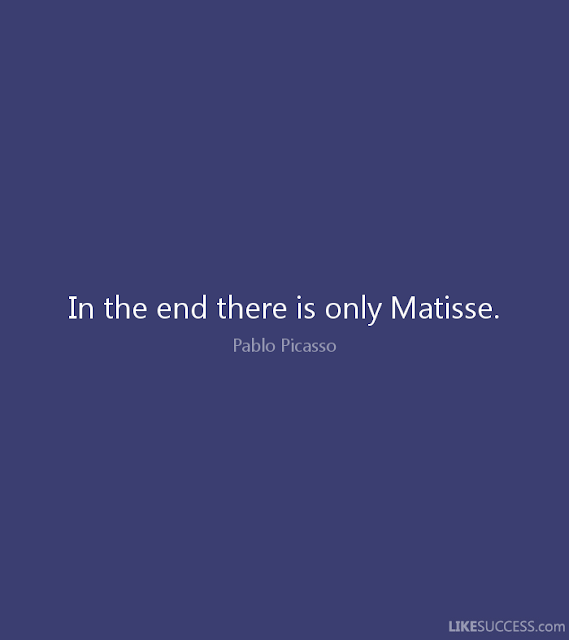 Today we're going to grab Matisse On Art, mostly translated from the French. Why did I add the article: "the?" I'll stick to visual art - this writing stuff has pitfalls. In years past my blogging style has been to keep things brief. This year, I am shifting gears for some reason. It feels right that this platform become a place for luxuriously long reads and, when they are on topic, videos. I hope you'll stick around for this year of deeper content. This month we are Celebrating Henri Matisse and I have barely scratched the surface. Maybe we'll extend Matisse Month. There. I just paid the vendor and now I'm going to walk straight to the waterfront cafe, grab a cup of coffee and read these essays and interviews by and of Henri Matisse. ISSUU: Jack D. Flam, Matisse On Art. There Is No Model. 2016. 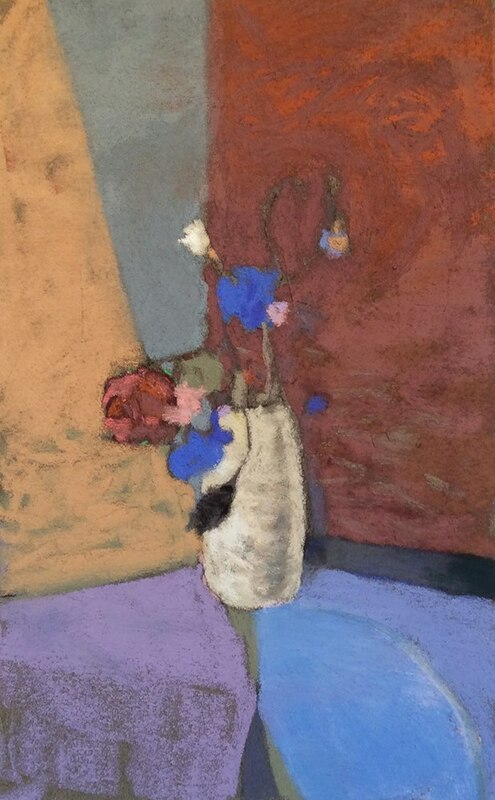 Pastel, Graphite & Dry Ground. 10.5" x 8.4." Casey Klahn. In 2014 it was my thrill to see the Henri Matisse Cut Outs exhibit at the MoMA. Installed in multiple rooms, including a full scale model of the dining room in Nice where he created the Swimming Pool, this exposition brought Matisse's legacy forward. He still thrills and challenges visual norms. In the last paragraph below there is a link to a virtual walk through of the Cut Outs. 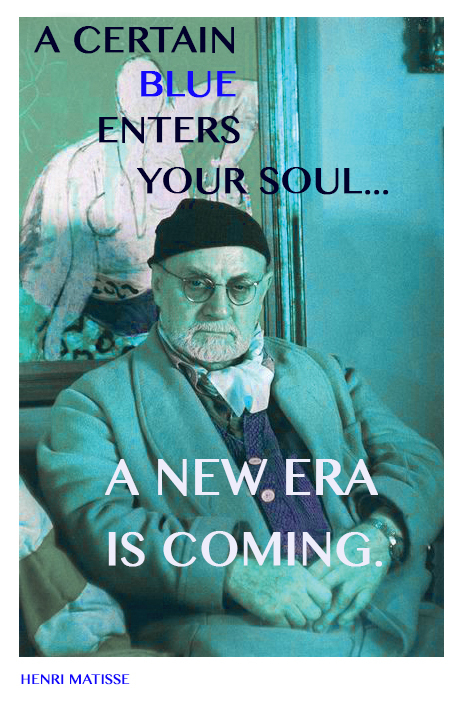 The indefatigable Hilary Spurling, Matisse's biographer, Sums up his life and the Cut Outs in this video from the Tate. Although at first much of this new form of art seemed impenetrable to me, I slowly began to unlock Henri's messages. Some are as simple as how his maquette for a Vance window means "up," or how Oceana means "immersive and unified." Gustave Moreau taught Matisse and prophesied that he would "simplify art." Indeed, here in the final works of his long career, Henri Matisse distilled color and form into visual delights without missing a beat. It's as if you are awoken in an operating room and your visuals are being administered intravenously. There is no spoon-feeding of subjects or details; you feel directly the experience of a lifetime of seeing. You are walking around inside of Matisse's artwork. Matisse was not being boastful when he said that it would take fifty years for people to understand these works. Here we are over sixty years hence, and mystery still enshrouds his works. What was he trying to say (and what gave him the iron nerve to say it?) with these childish decoupages? MoMA provides this examination of what the Cut Outs are. This walk-through link gives you nearly the experience of the actual show, except that it is linear instead of circuitous. Using clear colors and sharp photography, it provides you with a fine record of the event. Enjoy. Source: New York Times. "When he’s genuinely tough and self-demanding, as he is in some later work, he’s on a plane of his own. Whatever pain it took, the late work is made for love." Produced by Larry Buchanan, Alicia DeSantis and Josh Williams. Composite photograph by Emon Hassan. 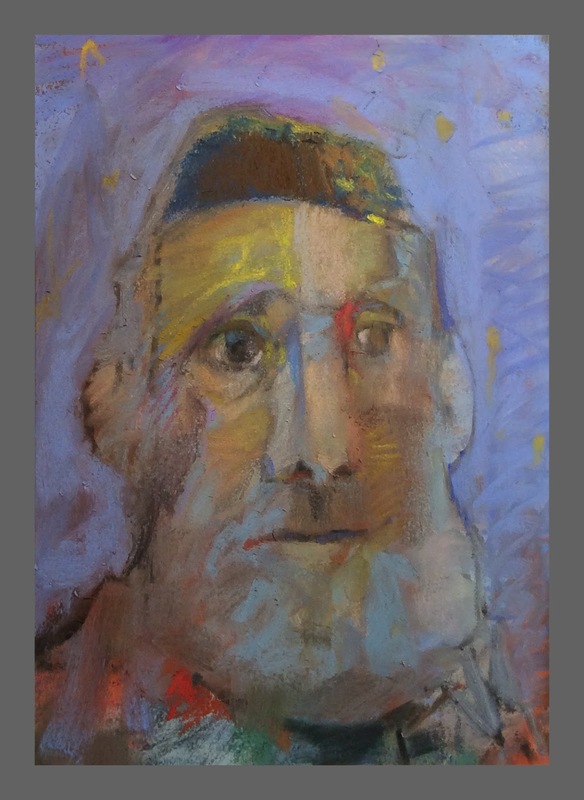 Images © 2015 Succession H. Matisse / Artists Rights Society (ARS), New York. Drawings, Lithographs, Etchings, Linocuts, and Woodcuts by Henri Matisse. ISSUU publication. Simple observations are often the kernel of genius. The rub is, they have to contain the truth. Henri Matisse had the genius of simplicity. On the subject of simplicity, I keep coming back to what Françoise Gilot says (without wasting a word herself) about Henri Matisse and his work. She revered his objective of "...mounting the color to the extreme." You can learn much by watching a master just drawing on the wall. Here is a short video of Matisse as he designed the Chapel of the Rosary in Vence, France. For more resources on Matisse, on the subject of the chapel project and much more, I refer you to the Tate Modern blogs on Matisse. Northwest School. Self Portrait. 2016. Pastel. 11.6" x 8.4." Casey Klahn. He migrated south within his native France; born in the north, then to Paris in the central part of the country, and finally he settled in the south on the French Riviera. He found color to his liking, and it became his chief tool of expression. M. Henri Matisse bestrode the Modern Era as a titan, and showed the visual world color and line in their pure forms, all the while working from life. 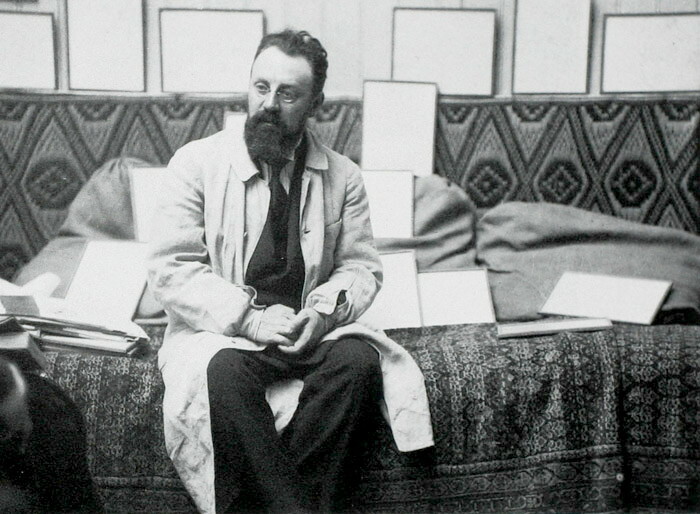 French painter Henri Matisse (1869 - 1954) in his studio. May 01, 1913. Credit: Alvin Langdon Coburn. Henri Matisse - Music. 1910. 260 x 389 cm. / 102.4" x 153." Oil on Canvas. Henri Matisse - La Mimosa, 1951. 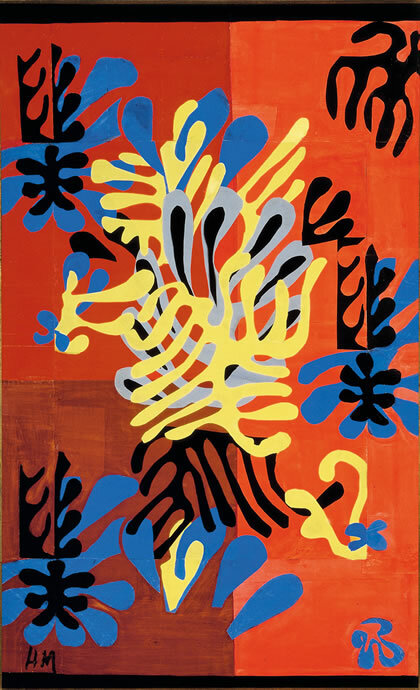 Mimosa, 1949–51, a cut-paper maquette for a rug that was realized in 1951. I'm always the last to know about these exhibits. This was in Brisbane in 2011. Enjoy this short window into Henri Matisse's life practice of drawing. "...word of warning: going to Nice solely for Matisse smacks of hair-shirted obsessiveness." That'd be me. Can't do beaches or water sports. My shirt's too hairy, I guess. Hee hee. I do plan on addressing the resistance to Matisse that many feel, which is like in kind to the resistance to Modern art, only more focused. Please return here for the Month of Matisse posts. Since Henri Matisse was born on December 31st, 1869, it seems good to spend a month celebrating the old keener. 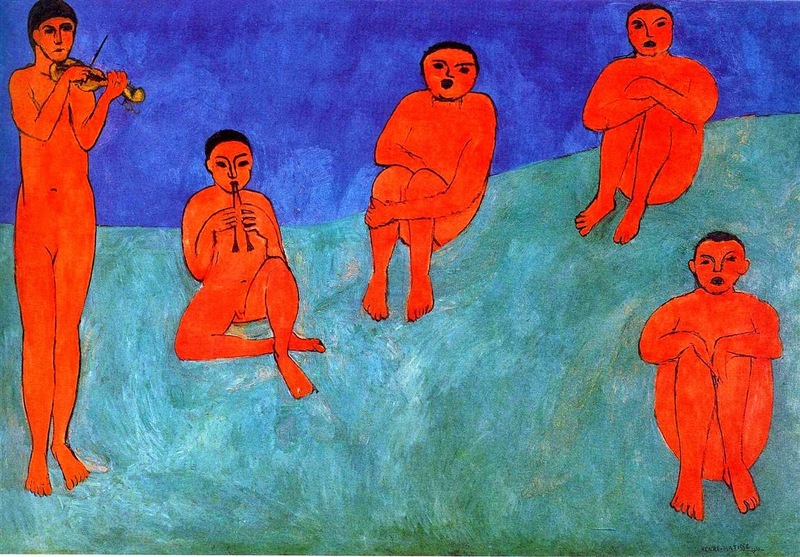 Matisse was the definitive colorist, and without doubt the greatest French artist of the 20th Century. It is worth noting that Pablo Picasso said: "In the end, there is only Matisse." Drawing is of the spirit; color is of the senses. I've been over forty years discovering that the queen of all colors is black. Drawing is putting a line round an idea. Seek the strongest color effect possible. The content is of no importance. Quote Image: Like Success dot Com. Never Forget the Affection I Had for You. Dark Rose Arrangement. 2014. 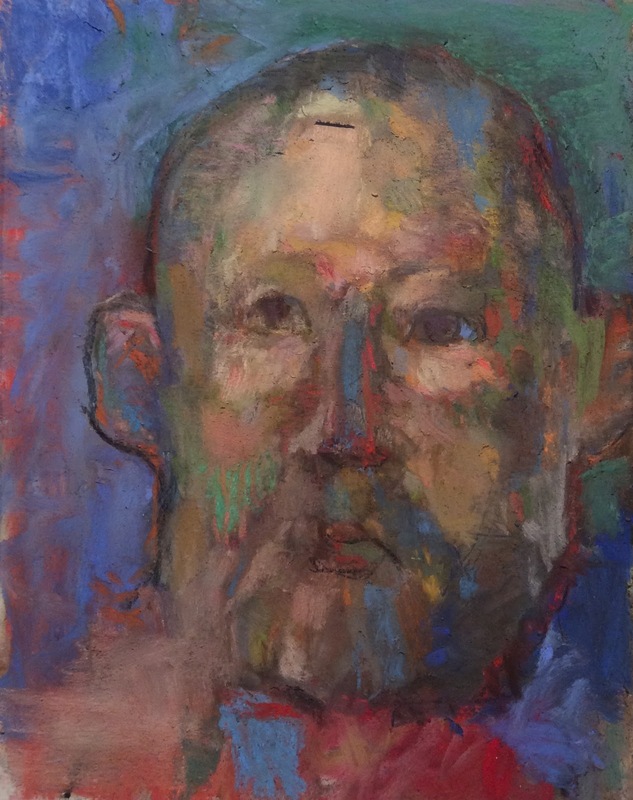 10" x 6." Pastel & Graphite. Casey Klahn.